We should be searching for the simple, easily understood answer for funding essential services of the federal government. 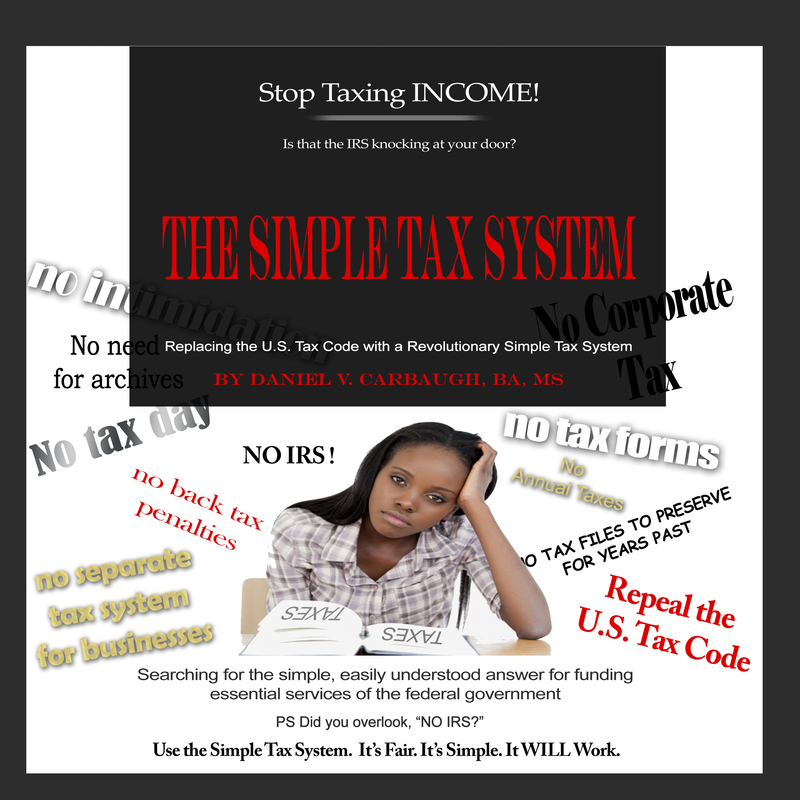 STOP taxing INCOME! Use the Simple Tax System. It’s Fair. It’s Simple. It WILL Work! Daniel V. Carbaugh, BA, MS was born in south-central Pennsylvania in 1942. He graduated from high school in 1960, did a hitch in the U.S. Marine Corps and then, too soon, found himself back in his hometown in 1965 looking for a job. Thanks to skills recently acquired from his military service (and a little luck) Dan soon found his way to a forty-two year career with Westinghouse Electronic Systems in Baltimore. Along the way Dan earned an undergraduate degree from the University of Maryland and a graduate degree in Engineering Management from the Johns Hopkins University. Dan and his family endured twenty plus years as expatriates in Europe, South-east Asia, South America, and North Africa. He retired from engineering management in 2007 and moved with his wife to South-west Florida. Dan's interest in tax reform came as a result of caring about fixing the federal tax code so that he could finally understand it.